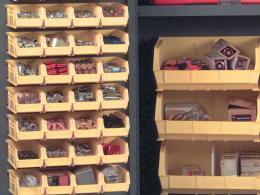 If you’re interested in organizing solutions that ensure safe, secure and convenient storage for machine parts, hardware and other components, start by taking a closer look at the jumbo modular drawer cabinet that we provide. 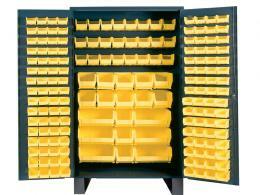 What Is the Purpose of the Jumbo Modular Drawer Cabinet? 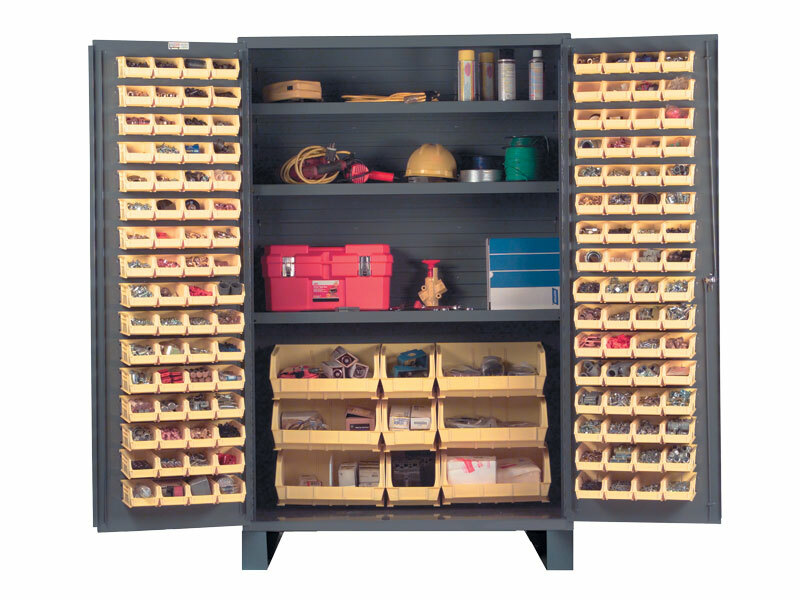 Due to its robust design and unique configuration, this product is one of the simplest, most cost-effective storage options that you could rely on, when it comes to depositing everyday tools, supplies and gear. Easy to use and secure, due to their 3 point locking handles with two keys, the jumbo modular drawer cabinets allow users to keep their everyday essentials organized at all times and prevent theft. Its versatile design and sturdy construction turn the jumbo modular drawer cabinet into a bestselling item suitable for a great variety of environments, including workshops, garages, warehouses and office spaces. These practical and aesthetically pleasing modular drawer cabinets are suitable for commercial, institutional and residential use. Their unique configuration featuring door panels with more than one hundred hook-on bins, louvered back and flush-style double doors makes these products adequate for homeowners and company owners seeking a convenient and secure method to store equipment, hardware, tools and other valuable personal effects that they wish to deposit onsite and keep within reach at all times. The jumbo modular drawer cabinet features high box-style legs, displays a sturdy construction and is made of 14-gauge welded steel. Its grey powder coated finish allows it to blend in seamlessly with any existing décor, and offers you the chance to implement a storage solution that is both effective and appealing. Choose between our two bestselling models (JC-137 and JC-171), both available in grey. The first option comes with 137 hook-on bins, and 3 adjustable shelves, while the second one features 171 hook-on bins, added to cater to all your storage needs. Both alternatives have ideal standard dimensions- 1981 (H) X 1219 (W) X 609 (D) (mm)- and can be easily installed in any corner of your workspace. 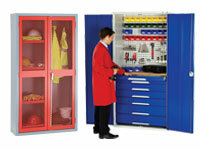 Order your jumbo modular cabinet today and we’ll deliver it to your door in 3 to 5 working days.